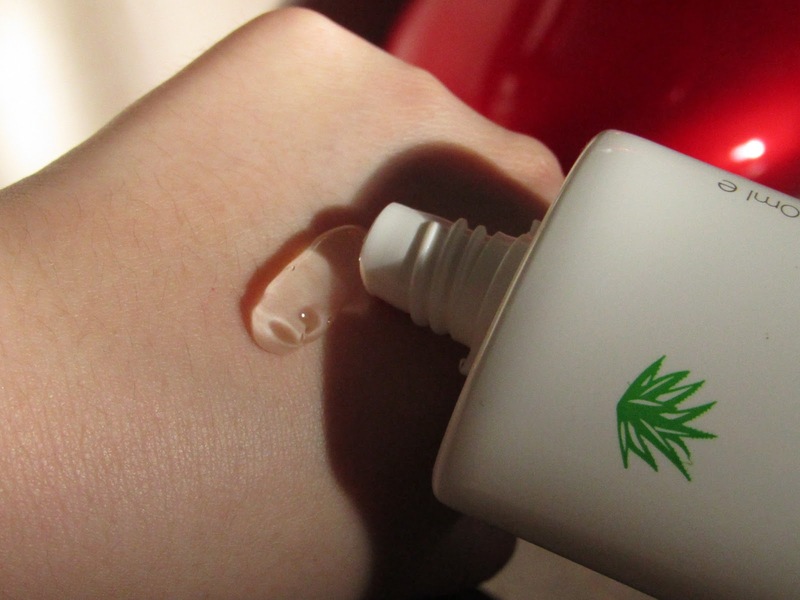 We all know that the amazing healing properties of the aloe vera plant and it felt almost not too long ago, mom rubbed a slice of the clear aloe vera gel on painful sunburns. Rich in Vitamin C and polysaccharides, it is proven to boost immunity, wonderful detox and antioxidant agent. Did I mention it is a beauty savior too? 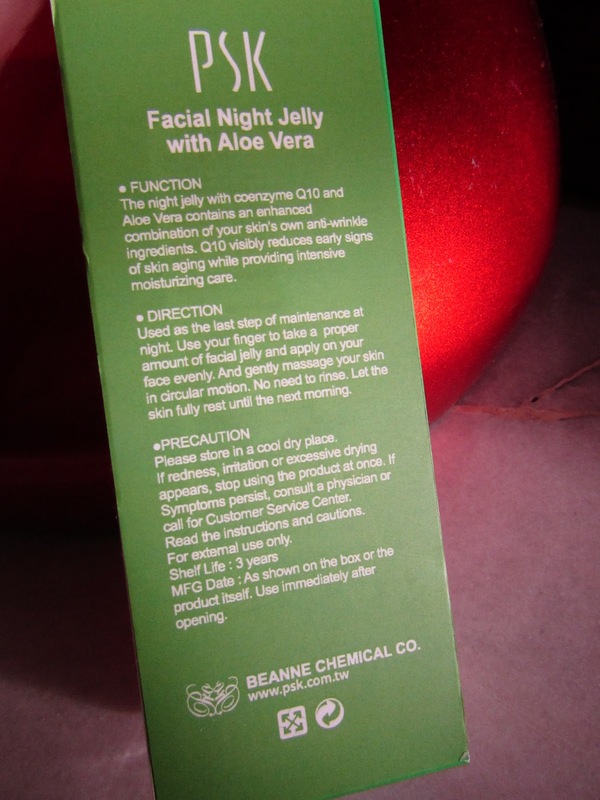 Recently, I had the chance to try out the Facial Night Jelly from PSK; a Taiwan skin care brand. Although they have a wide range of cosmetic and skin care products, I was particularly attracted to the aloe vera series due to my skin increased sensitivity (kitchen being renovated as I type). The 3 key ingredients in this Aloe Vera Facial Night Jelly are Pentavitin, Vitamin B5 and Aloe Vera Extract. These moisturizing ingredients when combined with Co-enzyme Q10 nourishes the skin, reducing wrinkles appearance. Instructions on usage behind the packaging. The packaging is different from the usual large tub container and personally, I prefer it this way as it is more hygenic with lesser risk of contamination. The smaller volume and tube design also allows easier storage, especially when it comes to fluid restriction in aircraft cabin. One thing that I come to notice is that PSK Facial Night Jelly with Aloe Vera has a thicker texture in comparison to the aloe vera soothing gels that I usually use. Although it has a denser texture, I had no issue in spreading it on my skin. It smells pleasant and also, non-greasy to touch which is a great relief (creamy type doesn't work well on my combination skin). To increase the cooling sensation of the gel, I stored this product in the refrigerator and the comfort is beyond words. As for the effectiveness of the Aloe Vera Night Jelly, my skin felt less itchy and smoother the next morning as it soothes the sensative area. It is also gentle to my sensitive skin; I had no breakout when using it. However, there are no visible pore size reduction after 1 week of usage (my pore size is rather big due to my skin type and that can influence the product outcome). The price is slightly higher than it's competitors but considering the additional vitamin of Q10, it is acceptable in my opinion.